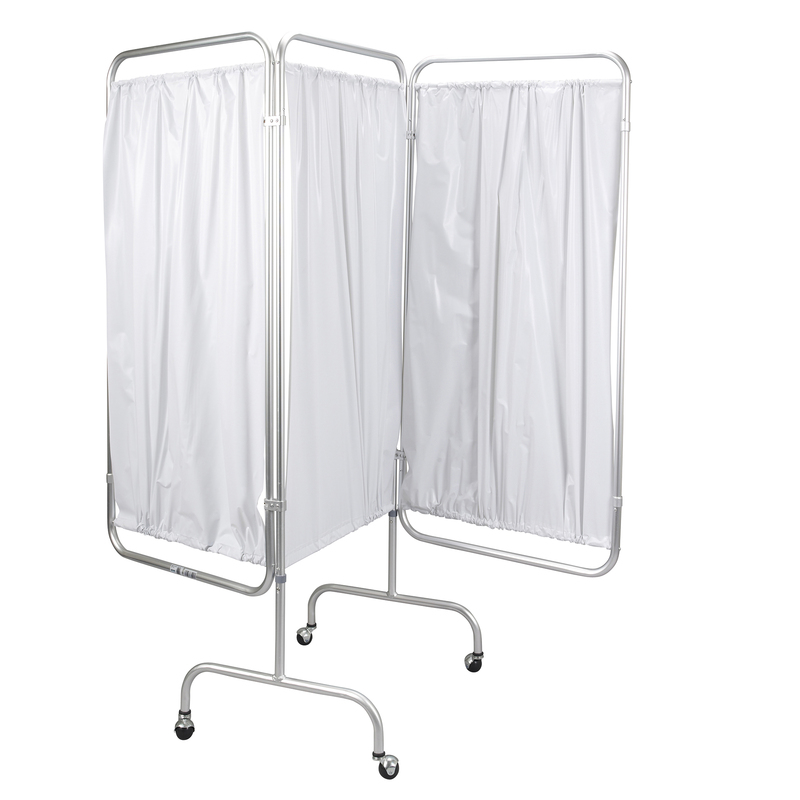 Manufactured with flame retardant bacteriostatic white vinyl and sturdy 1" anodized aluminum tubing the 3-panel privacy screen from Drive Medical is well-built and functional. The materials are as easy to maintain as they are useful. Each hinged panel measures 56" high and 27.5" wide giving the product an overall height of 70.5". Four 3" hooded casters make transportation and repositioning a cinch.